Telemeter, an early pay-per-view system, used a coin-operated box attached to TV sets. Despite testing in the both United States and Canada the system never made it past the experimental phase. The Telemeter system consisted of a simple, coin-operated box attachable to any television set. When the right change was deposited into the box, a scrambled television signal sent through coaxial cables was unscrambled and rendered viewable. A viewer could chose from one of three channels using a dial located on the box. A channel guide and price window were located next to the coin slot. Mechanics inside the box kept track of the money deposited. Paramount Pictures Corporation bought 50% interest in the International Telemeter Corporation in May 1951. At the time, Paramount had no plans to market its films using the Telemeter system, but considered Telemeter a worthy investment. Several tests of Telemeter were performed, including a six-set press demonstration at the KCLA television station in Los Angeles in February 1952. The test began at 1:30PM and prompted numerous telephone calls from concerned locals about the scrambled images they were seeing on KCLA Channel 5. A public test of Telemeter took place in Palm Springs, California in 1953. Over seventy households were initially wired with coaxial cables and Telemeter boxes, all part of a massive close-circuit television system. By utilizing CCTV, the International Telemeter Corporation was able to bypass the Federal Communication Commission. On November 28th, the Paramount film Forever Female was broadcast through the Telemeter system at the same time it premiered in the local movie theater. When about $1 was deposited into the Telemeter boxes, the scrambled signal on one channel was unscrambled and the movie was viewable. Within two weeks the number of homes with Telemeters installed jumped to a hundred, with almost four hundred additional interested households. By February 1954, an average of $10 per month was being spent on movies through Telemeter by 148 households. International Telemeter Corporation was pleased with the early results, which were above their initial estimates. The Palm Springs experiment ended during the summer of 1954 due to many Palm Springs residents leaving their homes to escape the heat. A lack of available new films kept the system from re-opening. 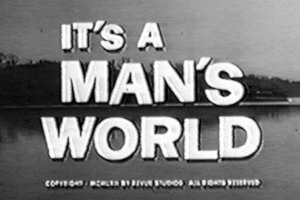 Paramount and the International Telemeter Corporation weren’t the only ones with money riding on the success of pay-tv. 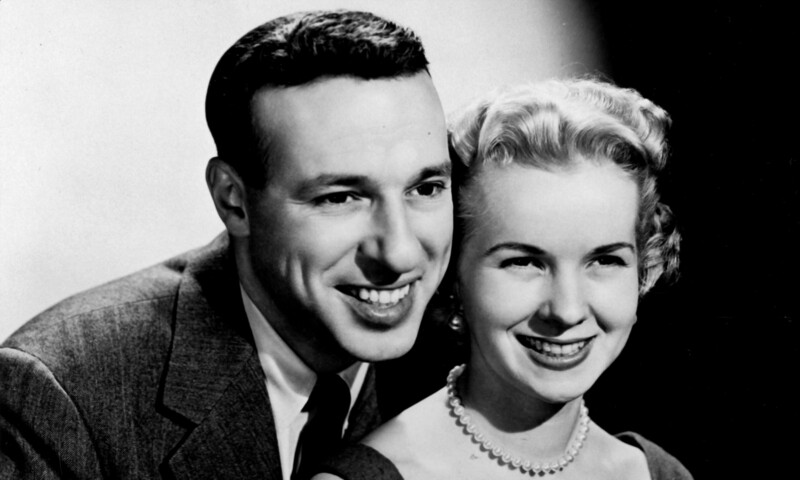 Zenith Radio Corp, Skiatron Electronics and RCA were also backing pay-tv systems. Subscriber Vision, developed by Skiatron, utilized a punch card system. Zenith’s Phonevision, which sent movies over telephone lines, had a test run in Chicago in 1951. The problem facing any pay-tv system was the FCC. Successful pay-tv would require FCC approval if it wanted to expand from limited tests typically involving a closed system to full over-the-air broadcast, which is regulated by the FCC. First, however, the FCC had to decide if it even had the authority to impose its rulings on pay-tv. The battle began in early 1955 when the FCC set a deadline for comments on pay-tv from developers and the public. Thousands of letters were received; most of them in favor of pay-tv and in response the deadline for comments was extended. Within a month, however, opposition to pay-tv had overtaken support.8 ABC and CBS filed petitions with the FCC against pay-tv. In 1957 the FCC agreed to allow a three-year trial period for any pay-tv system that applied for permission to attempt a trial. However, final authorization did not come until 1961, a decade after the first pay-tv systems began in earnest. The first official, over-the-air test took place through WHCT-TV in Hartford, Connecticut, using the system developed by Zenith. Sponsored by RKO General, the test got underway in 1963. Unlike its competitors, Telemeter never attempted to get involved with over-the-air transmission, thus continuing to bypass the FCC. The International Telemeter Company began a long-term test of its closed-circuit system in Toronto, Canada in February of 1960. Within a year, however, the Toronto experiment was losing money and Paramount Pictures stepped in to take over from a Canadian company. The Toronto experiment was shut down on April 30th, 1965, a technical success but a commercial failure. Telemeter’s closed-circuit, wired system never caught on. 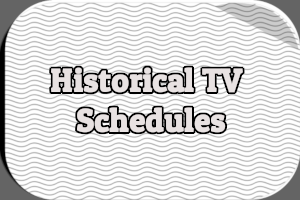 Cable television, an outgrowth of other early pay-tv systems, began in earnest in the 1970s. 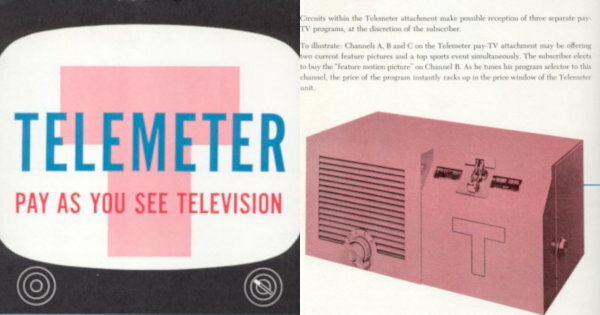 But Telemeter’s legacy as an early pay-tv experiment and its unusual coin-operated box doesn’t deserve to be forgotten. Brady, Thomas F. “Paramount Buys Into Video Group.” The New York Times 1 June 1951: 19. “TV By Subscription Is Tested On Coast.” The New York Times 27 Feb. 1952: 34. “Telemeter’s Debut: Pay-as-You-Look TV To Get Another Trial.” The Wall Street Journal 27 Nov. 1953: 18. Pryor, Thomas M. “Hollywood Canvas.” The New York Times 13 Dec. 1953: x9. Pryor, Thomas M. “Films On Home TV Earning $10 A Set.” The New York Times 20 Feb. 1954: 9. “TV Experiment Held Up.” The New York Times 10 Nov. 1954: 48. Shuster, Alvin. “F.C.C Mail Favors Pay-As-You-See TV.” The New York Times 24 Apr. 1955: 71. Trussell, Tait. “Toll TV.” The Wall Street Journal 3 June 1955: 1+. Adams, Val. “Ban On Pay Video Urged By C.B.S.” The New York Times 8 Sept. 1955: 1. Walz, Jay. “F.C.C. Backs Trial of Pay-TV; 3-Year Plan May Begin in 1958.” The New York Times 19 Sept. 1957: 1. Associated Press. “Trial for Pay TV Is Set for Hartford.” The New York Times 25 Feb. 1961: 1+. Canadian Press. “Paramount To Pay For Toll-TV Test.” The New York Times 7 Oct. 1961: 47. “Paramount Pictures to End Pay-TV Test In Ontario, Said to Be a Technical Success”. The New York Times 25 Mar. 1965: 4. I was just sitting here telling my husband of six years that my family once had a television that you had to put quarters in a box to play and someone came and emptied it periodically. He gave me a look of disbelief and said he had never heard of such a thing. This in 1961 or 1962. Thanks for validating the existence of this TV. 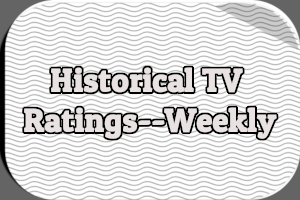 Was your family involved in a Telemeter test or was it one of the other experiments with coin-operated television? We had a coin in the slot TV for a sort period – about 6 months I think – in about 1963. I can remeber my parents sitting my younger sister and me down to watch it and retiring for some R&R, only to be disturbed by indignant cries when the thing ran out of money. I think it was a sixpence you had to put in the slot, but am not sure. I’ve no idea if it was a telemeter or just a pay-as-you-go scheme, but like Debbie Gill, very few people believe me when I tell them we had one. I just finished listening to a radio program where people called in with “back in the day things we used to do.” Two callers called in about the pay as you go television. I decided to google it and came up with this website. Sue, you’re not crazy, but apparently that phenomenon was before our time. I am so glad I foound this site. I too have told people we had a television that required money to watch. I think it was a quarter. I do know that, it would play for a while and then go off when the coin time ran out. This was in the early to middle fifties. People say they never heard of it. Yes, Yes, Yes!!!! I feel so validated to have found this information. Not even my siblings remembered having a coin operated television. I was born 1951 and that’s the type of television I remember us having. We watched the Ted Mack Amateur Hour, 20 Mule Team Borax, etc. Who remember those programs. Our parents had to put a coin in to watch. It would go off when the coin time ran out. We had a Zenith television. I have just obtained an original Telemeter coin-op set top device in excellent condition. If anyone is interested it is for sale. Great article, takes me back to Etobicoke, 1960. Thank you so much for this article. 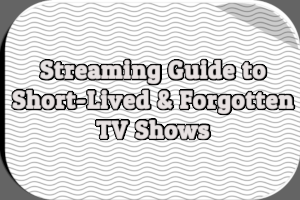 One of my colleagues told me that used to have to pay by quarters to watch tv growing up. I told my boyfriend this and he told me that I was gullible for believing him. I was just about to give up hope when I found this article and several others. Thank you! I too have told people about “pay as you view” TV’s from when I was a child in England. They also never believed me!!! It used to cost sixpence or a “tanner” to watch for about 30 minutes if I remember correctly. Back in the middle sixties I worked for a company callled “Teleng”, a subsidiary of Telefusion the TV rental company. Teleng designad and manufactured Cable TV equipment and during my time there worked on the British version called “British Telemeter Home Viewing” The system could run 7 0r 8 405-line channels plus a ‘barker’ channel that announced the viewing fare for the day plus the charges. It used frequencies from 8 to 36 MHz that were up-converted to a fixed VHF channel to which a standard TV of the day could be tuned. Inserting a coin ( usually 2/6d )enabled the viewer’s choice of film and the appropriate RF channel was then up-converted to the VHF band for the TV. The scheme was to run by Telefusion on their cable TV networks in the Mitcham, Morden and Wimbledon areas of South London, but although the scheme worked technically it failed for reasons undeclared to we back-room boys in the Teleng labs. I used to be very pleased to find this net-site.I wanted to thanks for your time for this excellent learn!! I undoubtedly enjoying each little little bit of it and I’ve you bookmarked to take a look at new stuff you weblog post. I am a 73 year old man who subscribed to Telemeter back in the 60’s while living in the Kingsway area. The Kingsway is part of Etobicoke which is now Toronto,Ontario. Telemeter was situated on the NE corner of Royal York Rd. and Bloor St. That site was originally a Woolworths store. Many a malt I had in there. We had Telemeter for approx. 5 years. I still have our original coin operated box which sat on top of the TV. It received quarters,dimes and nickels. As coins entered the box, a signal went through a stage called the “Racker Stage” to an internal 1/4″ tape which recorded when and where the box was being used. Monthly the box was emptied of coins and tape was removed for processing. I also have over a hundred Telemeter guides which changed every two weeks by mail. 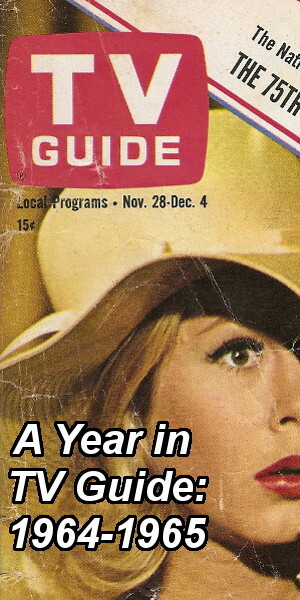 It is nice to look back on the old guides to see what we were watching in the early 60’s. A brief description of the movie and the stars and cost was there. Most movies cost $1.00 . Leaf hockey games through the week and Sunday evenings on the road cost $1.50 . CBC carried Saturday evening games free. (Joined in progress, usually 2nd period) Telemeter showed the complete game. Childrens matinee’s were 25Â¢. Ballet and broadway plays were also available as were acts such as the McGuire Sisters and Bill Dana, Gracie Fields and Stanley Holloway. We were given a weekly guide called Playbill to choose the plays to watch. Today we have Pay Per View but it all started in North America 50 years ago. I was there. What lies in store for the next 50 years? Those yet born will decide. Good stuff. FYI, that was KTLA-5 in Los Angeles, not KCLA. It is me again. I am 60 years old. I lived in Roanoke Virginia then and now. I remember the “telemeter” in the early and mid fifties. I do not know if our parents were part of a test or not. I just remember the television, putting coins in to watch and keep watching. I am a former employee of the Etobicoke system from 1960. In fact I have mint condition home coin box and complete system service manual. Would welcome hearing from others and their relationship with this company. Reino, when Telemeter closed down , did you continue your work at CFTO. If so , I worked there also along with you and Morris Crump and Les Mezzaros, Don Williamson and the Boss Bill Crampton. Hy!, i like to know the other side of the telemeter, in the head-end, how their programing the box that this program cost $1.00 and how many times? Is possible to recreate the concept with the old equipment? In my file is an International Telemeter Corporation business card (2000 Stoner Avenue, Los Angeles 25) bearing the name of Allen P. Algier. The postal code dates the card as prior to adoption of 5-digit ZIP codes in 1963. My notes, however, show that “Al” Algier was usually identified with Howard Hughes productions. If anyone can explain the confluence, or tell me more about Algier, I will be pleased to hear it. I noticed that it had variable pricing capability and it appeared that it was tube based. I wondered how this was accomplished down in the 1950s. It also appeared to have a speaker in it. Were the progams scrambled with the same system used in early cable scrambling? Was the system timer based or was there an end of program signal? Did the sound come out of the TV or out of the telemeter? As late as the late 1990’s, I stayed in a motel in Manchester, CT, that had pay TV. I came across a telemeter in an unopened box in my parents basement. It appears to be unused. I was just wondering if it has any value.I will check the comments periodically,I hope someone can give me some information. I don’t think the service is active today. I doubt it can ever be used on a current TV system today as the encryption of modern cable is different. However, a radio or TV collector might find some historical value in it. Tracing out the circuit to figure out what it actually did inside to unscramble a signal back in the 1950s might make an interesting history lesson and an interesting historical blog article or YouTube video. You might list it on EBay or ask some of the tube radio and television restorers on YouTube if they would be interested. You might also post on VideoKarma.org and see if you get any responses there. It is also possible that one could pull some parts out of it and use them to fix other TVs and radios. Whether this is possible depends on the tube lineup. Thank you for this site. I was just discussing this particular thing with 2 of my co-workers and they had never heard of this. My question too them was how far back could they remember cable and of course they could only remember the early 70’s. When I mentioned a box that you had to put coins in it they thought I was crazy. My family was not one of the ones that had this. I am going to tell them about this site so that they can read more about the early cable. Thanks again. When the “Price” drum had been driven to zero, it would show “PAID” through the window and close a set of contacts, which caused a 1/4″ tape cartridge attached to the coin box to run for a few seconds. I don’t know if it was recording or playing, but I assume it was making a record off-the-air of what program had been bought. The “Price” drum could also go one step further to a second “PAID” position (which closed a second set of contacts), but I don’t know what that was for. Any overpayment stayed on the “Credit” drum and could be used later by pushing a button. The speaker in the Telemeter box was interconnected with the “Program Information” knob, which was just a volume control for it. I assume program audio came out of the TV, while the Telemeter’s speaker was just to advertise programs and prices. Based on the mechanism, I’d assume it also announced the proper time to turn on your Telemeter box so the prices would register correctly, and so on. Too bad I lost the box years ago when I moved away from home, or I’d love to hack into it now and figure out just how the system worked. Pay as you watch TV was in Buffalo NewYork in the mid 1950’s. I remember begging to watch TV and having .25$ put into a box. It seems to me it came over the telephone wire. Some one did come and get the money.